Valentine’s Day is approaching. If you’ve got someone in mind that you want to impress, keep it sweet and simple with a bunch of flowers. It may be that you want to make your feelings known but you’re not quite sure how to go about it, so why not let flowers do the talking? It may be a cliché but roses are still the go-to flower for this kind of occasion. If you’re worried about going a little too passionate it this early stage, it might be best to steer clear of red rose bouquets, particularly of the dozen variety (although who knows, it might be just what she wants). Cream is a slightly safer choice but just as impressive. You could also tone down the romance by opting for a mixed bunch that includes a few roses as well as some other pretty flowers. Don’t want a premade bouquet? Go down the sweet and thoughtful route by handpicking some wildflowers or look at potted plants or rose bush plants for something unique. Quirky but oh so pretty, it’s sure to impress. Winter time presents a tough climate for many flowers to flourish but there should be a few varieties around by February to make a small bouquet. Snowdrops are one of the cutest around, with adorable white heads that hang delicately from their stalks. You might also be able to find some lesser celandine – shiny star-shaped flowers from the buttercup family – or primroses which are commonly found in the wild in a creamy color with a bright yellow center. A break from tradition but top of many girls’ lists of their favorite flowers, lilies come in a range of colors and patterns. There are some particularly pretty pink varieties around at this time of year – perfect for your valentine – and you can even get stunning pink and white bouquets containing lilies and roses to really make a romantic impression. If you feel you know your crush well and want to add a personal touch, think about personalizing a bunch of flowers with special trinkets or color options. Perhaps you’ve noticed she wears a lot of pearls – in that case, lace the bouquet with chains of pearls for a touch she’ll really appreciate. If she has a favorite colour or flower then make that the centerpiece of your bouquet or get crafty and cut out some letters that spell her name and slot them in amongst the flowers for something truly special. Whatever you decide, make sure you start planning your bouquet early and give your crush flowers or plants for Valentine’s Day that are sure to impress them. 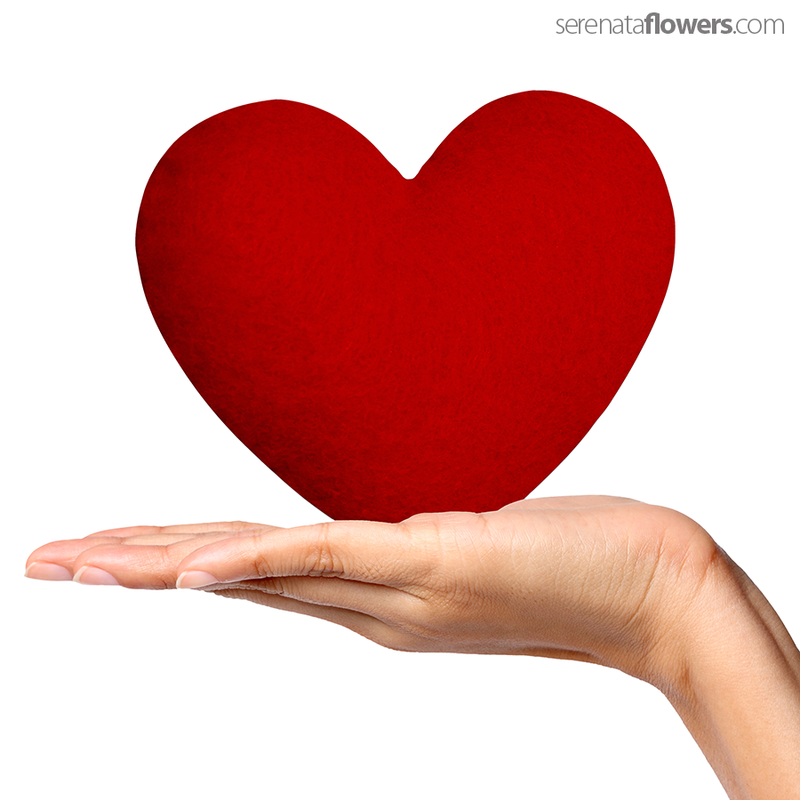 Order your Romantic Flowers in few clicks from SerenataFlowers.com!